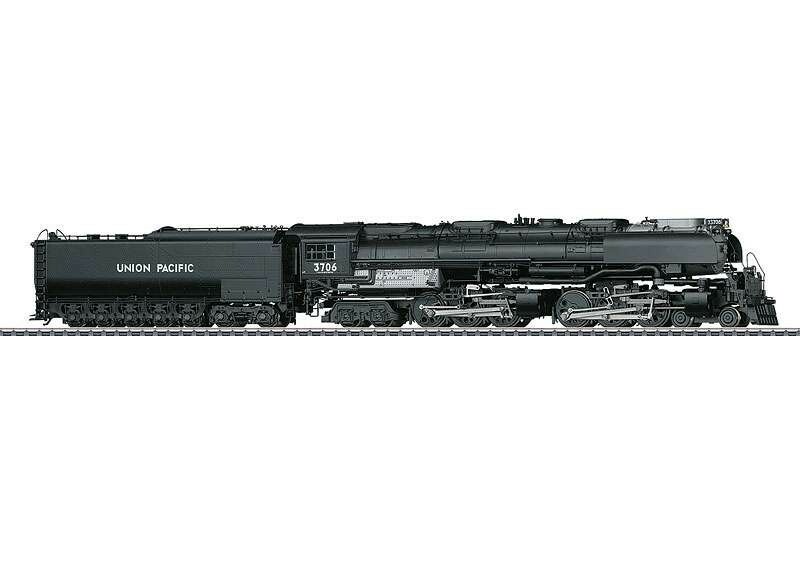 Prototype: Union Pacific Railroad (UP) heavy American freight steam locomotive from the former class 3900 "Challenger", in the converted version with an oil tender. Locomotive version with road number 3706 (former coal-fired locomotive, road number 3943). The locomotive looks as it did in the Fifties. Model: The locomotive has an mfx+ digital decoder and extensive sound functions. Different operation sounds such as oil and water being replenished or the sounds of opening and closing the sliding windows and the ventilation hatch on the cab can be controlled digitally. 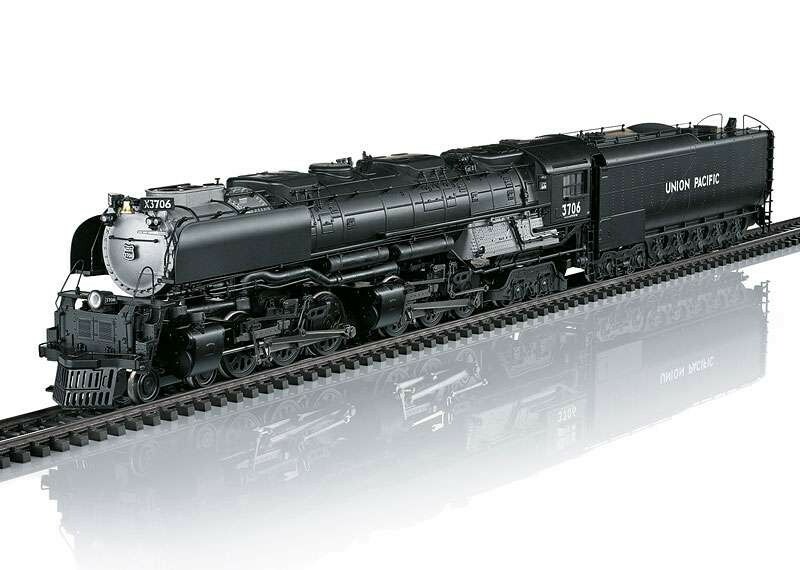 The locomotive also has controlled high-efficiency propulsion with a flywheel, mounted in the boiler. 6 axles powered. Traction tires. 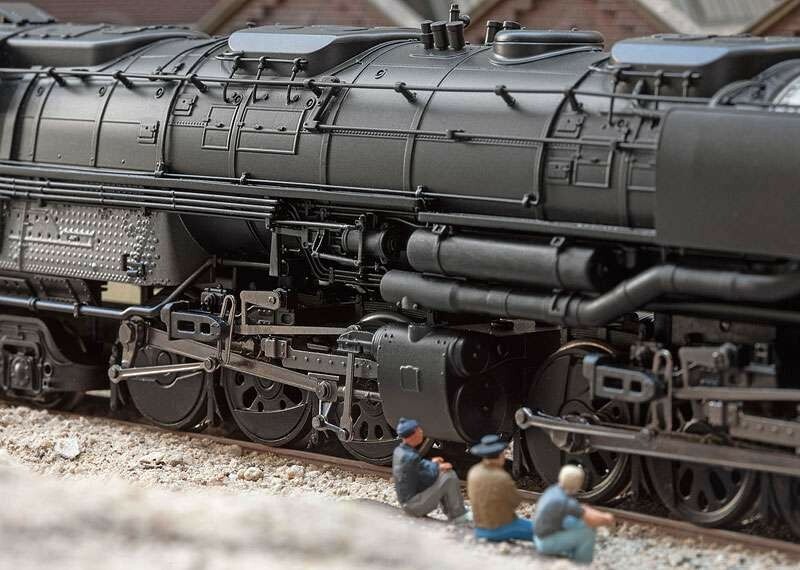 The locomotive has an articulated frame enabling it to negotiate sharp curves. It also has Boxpok driving wheels. The headlight, backup light on the tender, and the number board and marker lights are maintenance-free, warm white LEDs. 2 smoke generators (7226) can be installed in the locomotive; the contacts for them are on constantly. The headlight, backup light on the tender, and the contact for the smoke unit will work in conventional operation and can be controlled digitally. The cab lighting and the number board and marker lights can be controlled separately in digital operation. There is a powerful speaker in the tender. An imitation coupler in a standard pocket can be mounted on the pilot at the front of the locomotive. There is a close coupling with a guide mechanism between the locomotive and tender. Steam lines on the front group of driving wheels are mounted to swing out and back with the cylinders. The locomotive has separately applied metal grab irons. There are many separately applied details. 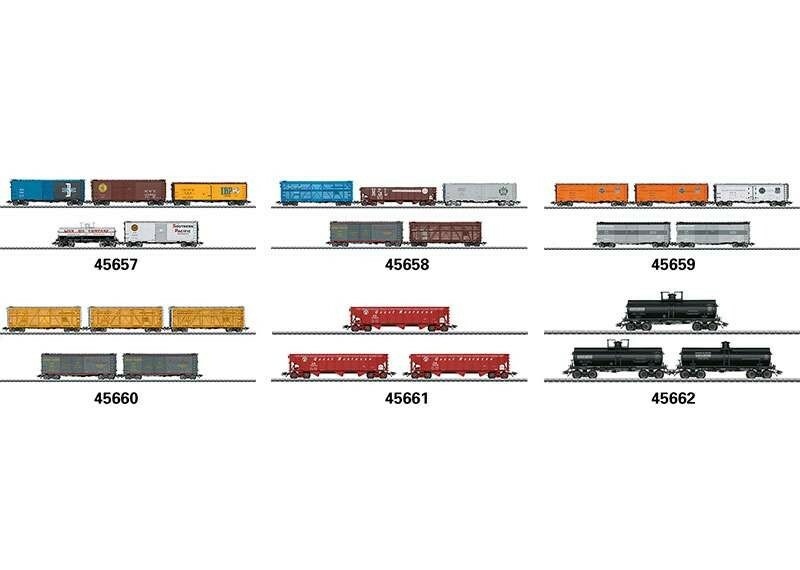 Figures of a locomotive engineer and fireman for the engineer's cab are included. Length over the couplers 42.5 cm / 16-3/4". The locomotive comes in a wooden case. Completely new tooling, constructed mostly of metal. mfx+ digital decoder and a wide variety of operation and sound functions included.